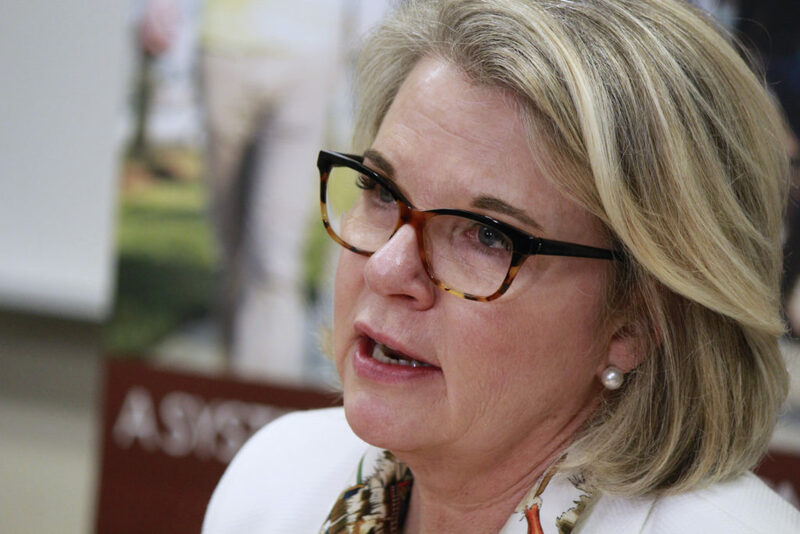 RALEIGH — North Carolina has its work cut out in bolstering advanced education options for all state residents, says University of North Carolina President Margaret Spellings. The commission, established Oct. 17, 2017, will look at national and state research to identify gaps in North Carolina’s work force. Members will set goals and growth measurements. They will push policy recommendations to next year’s session of the N.C. General Assembly. Spellings co-chairs the commission alongside Dale Jenkins, chief executive officer of Medical Mutual Health/UNC Health, and Andrea Smith, chief administrative officer of Bank of America. North Carolina is one of only a few states that doesn’t have a plan to help guide administrators and students from pre-K through post-secondary education, Spellings said. That’s not good, since early learning affects decisions about college — or other education beyond high school. Two-thirds of all jobs will require some form of post-secondary education, states a report from the Georgetown Center on Education and the Workforce. North Carolina’s work force will suffer unless the state makes some serious changes, Spellings said. Right now, 47 percent of North Carolinians have an advanced degree or credential beyond high school, Spellings said. The demographics vary widely county to county. In urban counties like Wake, 60 percent of residents have advanced degrees or training. But percentages slide into the 20s and 30s in lower-income and rural areas. For every 100 ninth graders in North Carolina, 87 will graduate high school on time, Spellings said. Seventy-two of those graduates plan to pursue some form of post-secondary education, with the rest aspiring to enter the workforce or military. Fifty-three of those 72 students will enroll in college. However, only 30 will graduate in six years, or less. “Any way you slice it, we need more North Carolinians better prepared for our future,” said Spellings. There are many possible explanations for achievement gaps, and commission members are diving for answers. One of the most glaring problems is college credit transfer requirements that look like a “crazy quilt,” Spellings said. A web of confusing financial aid programs deters students from enrolling in college. Poor communication and confusing data systems add to the heap of issues. She also asserted K-12 schools have trouble retaining teachers due to a lack of advancement opportunities. The system can be fixed only with coordination and cooperation across North Carolina, Spellings said. That’s where My Future NC comes in.